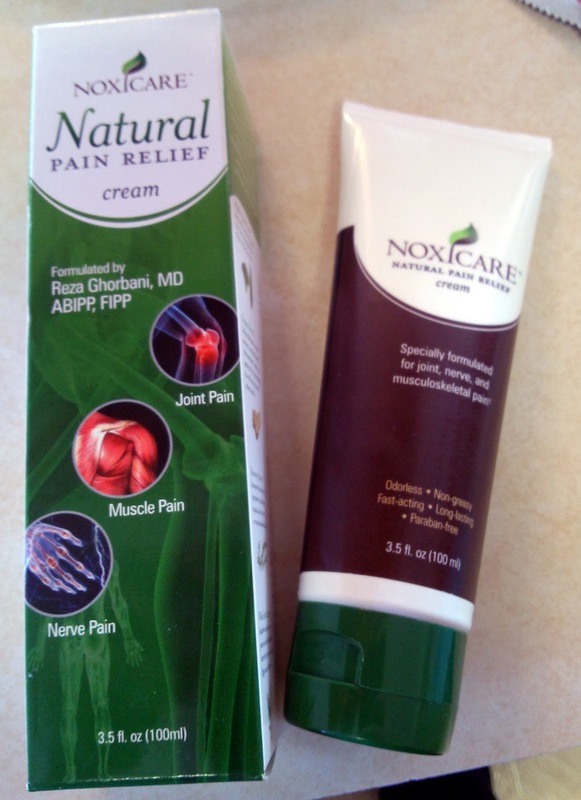 Noxicare Natural Pain Relief Cream is an all-natural way to calm your aches and pains. This cream is effective for muscle and joint aches, nerve pain, and inflammation. Unlike other pain relief creams, Noxicare is made from natural, potent pain-relieving ingredients. I gave my dad Noxicare to try out since he has so many muscle aches and pains. He has used many other products, and says that Noxicare is one of the most effective he's used. He really likes the unscented formula, which is hard to find in a pain relief cream. The one minor complaint he had was that the cream is a light yellow color, so if it's not rubbed into your skin completely, it can leave a yellow color on your clothing or sheets. (In his case, the area on his back was hard to reach so the cream didn't get rubbed in all the way, and left some yellow on his sheets.) This does wash out and should be avoidable by making sure the cream is fully absorbed before putting on clothes or going to bed; It is also a good idea to have someone help you apply to hard to reach areas. Overall, Noxicare Natural Pain Relief Cream is effective and lived up to it's promises. My dad uses it a lot and would recommend it!